Meet Uplite SPL, Samsonites embodiment of comfort and lightness. 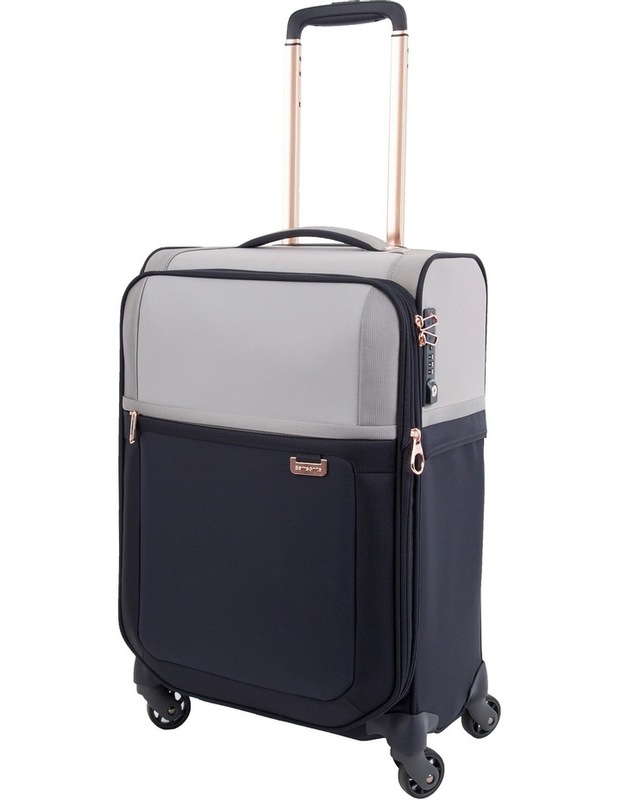 In addition to its amazing low weight, this stylish collection comes with a well-organised interior, comfortable handles and a fixed TSA lock for secure travel. The pearl/blue colour combination matched with the copper finishing gives the range an elegant and chic style. 2.7kg for large size Samsonites lightest large case ever. 360 multidirectional spinner wheels for easy maneuverability. Fixed 3 digit TSA combination lock. Functional elastic cross ribbons to secure packed items, with smart fix buckles. Expandable for increased packing space.